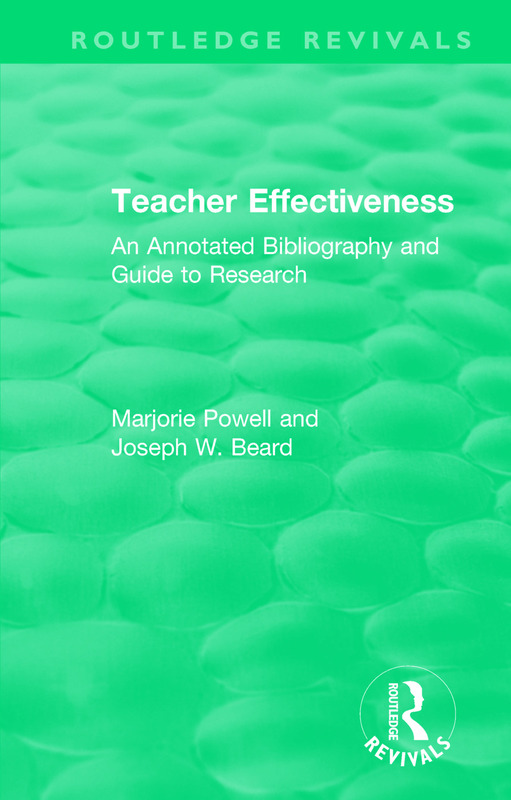 Originally published in 1984, the field of research on teaching had expanded dramatically in the 15 years covered by this bibliography, 1965 to 1980. The expansion had included studies conducted for many purposes. This bibliography contains relevant citations to the research which has been conducted for the purposes of increasing our understanding of the science, art and craft of teaching. The existence of research publications has been documented with relevant reference information and brief annotations; there has been no attempt to evaluate the quality of the studies. A brief perusal of the bibliography provides an indication of the range of topics addressed by these studies and also of the variety of studies within a single topic.